A well made brown pavement sign (RAL 8012) that will sit out side your establishment helping get your message out there to any one passing by. 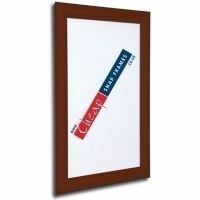 The easy to use poster change system means that you can change your posters frequently without any hassle. 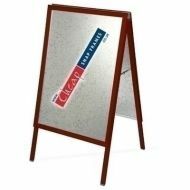 Every one of our brown A-boards comes complete with steel back panels and protective clear covers to keep your posters nice. A well made brown pavement sign in four sizes; A2; A1; 20x30 ad 30x40 and at cheap prices - starting at only £69 + VAT and Delivery.